While many of Stone's beers tend to be too West Coast Hoppy for my taste - this one isn't at all. 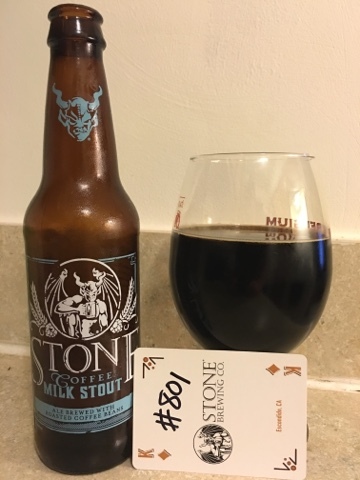 The stout is very nice and smooth, and the coffee flavor is present but doesn't dominate the flavor. I believe the lactose sugar mellows it out and makes for a very enjoyable drink. Not something I typically drink, but I do enjoy this.